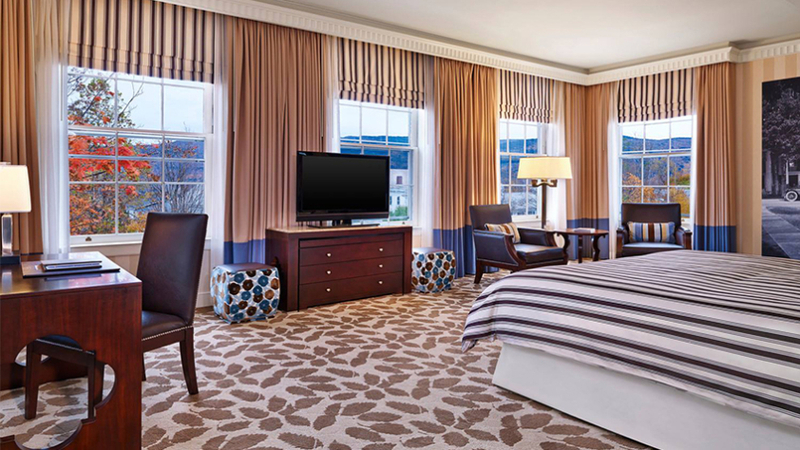 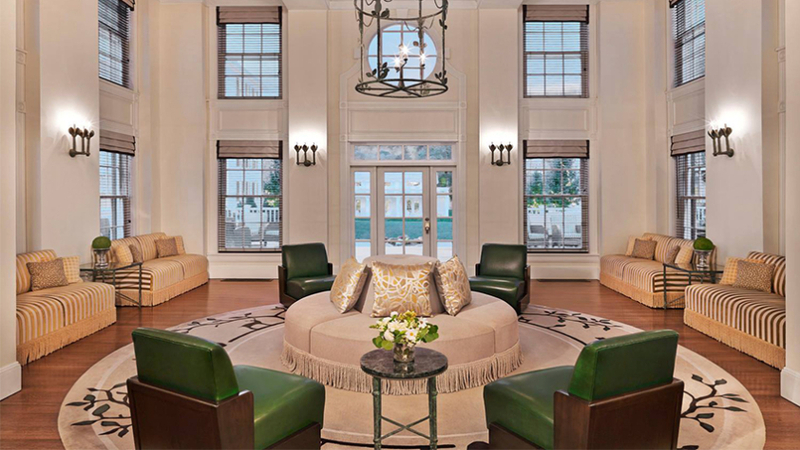 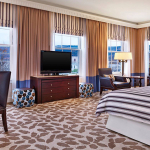 A blend of New England charm and contemporary luxury describe this iconic Manchester Village hotel. 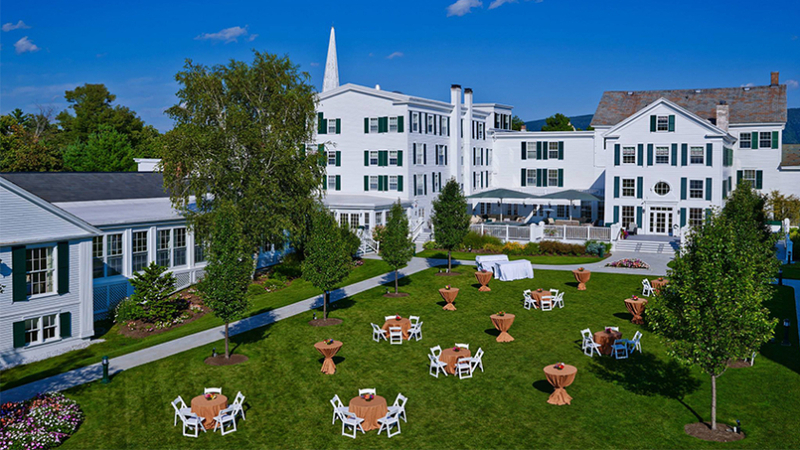 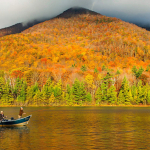 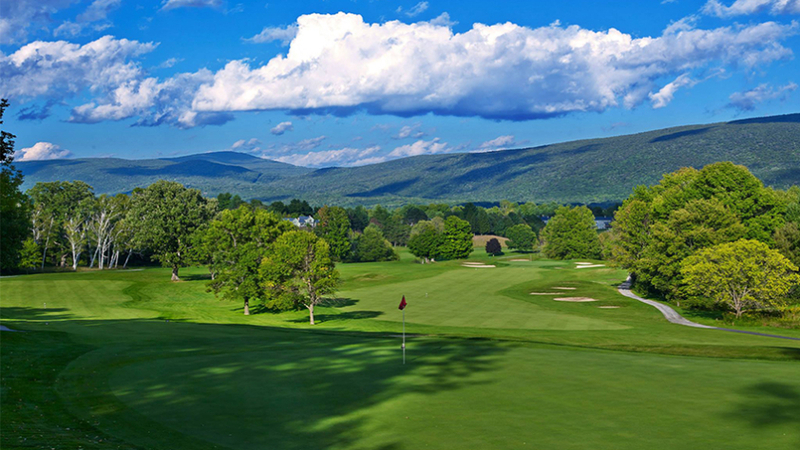 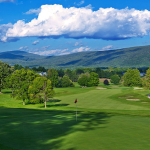 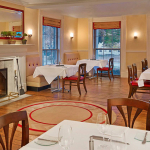 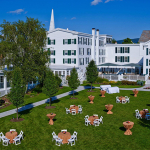 First frequented by Vermont’s Green Mountain Boys, who gathered at the Marsh Tavern in 1769, the Equinox combines a rich sense of history and tradition with superb service and contemporary amenities to make for an easeful, elegant stay. 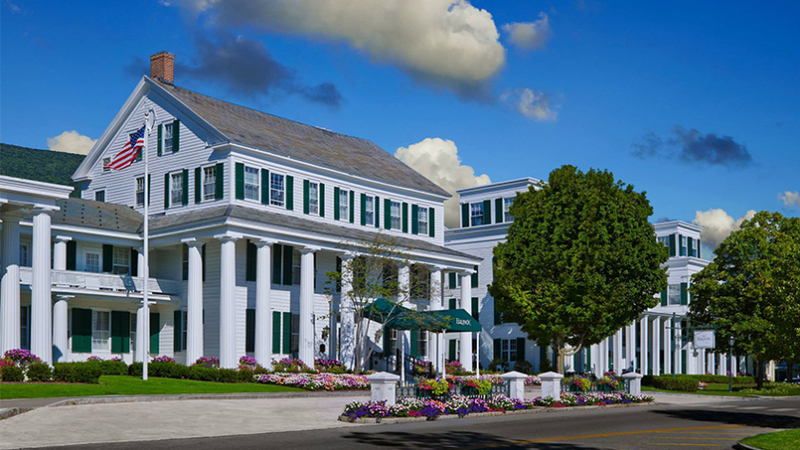 Rooms and suites feature gorgeous views of the mountains, gardens, and historic village center while breakfast is served in the gracious Colonnade. 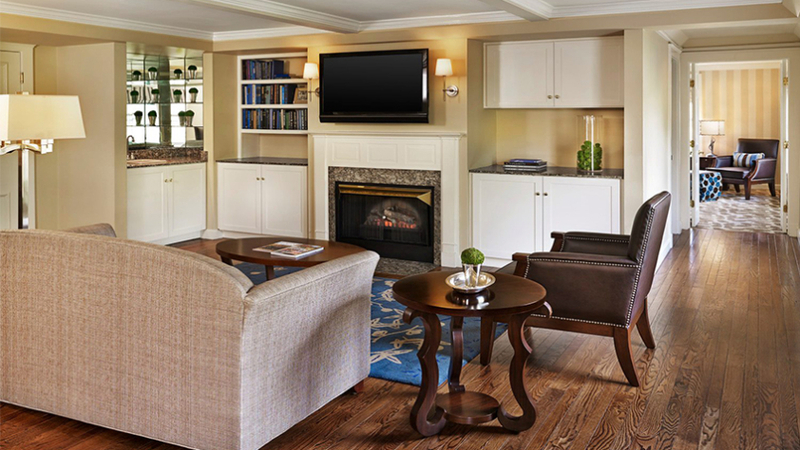 The resort is family (and pet) friendly, so bring everyone along! 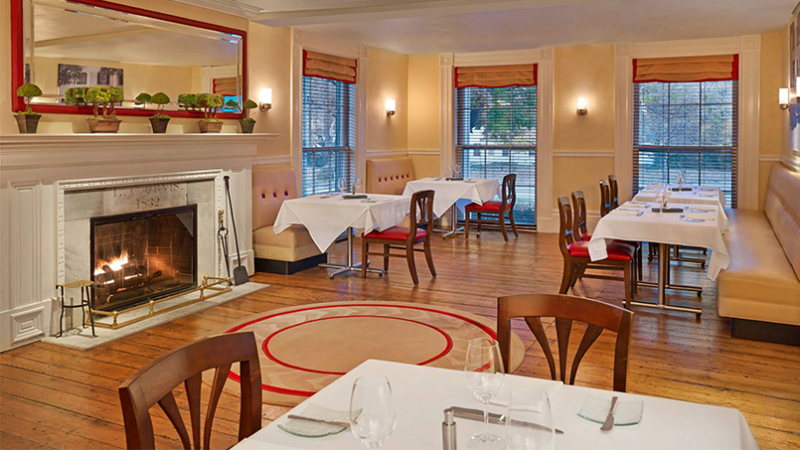 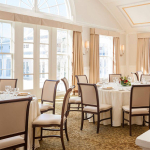 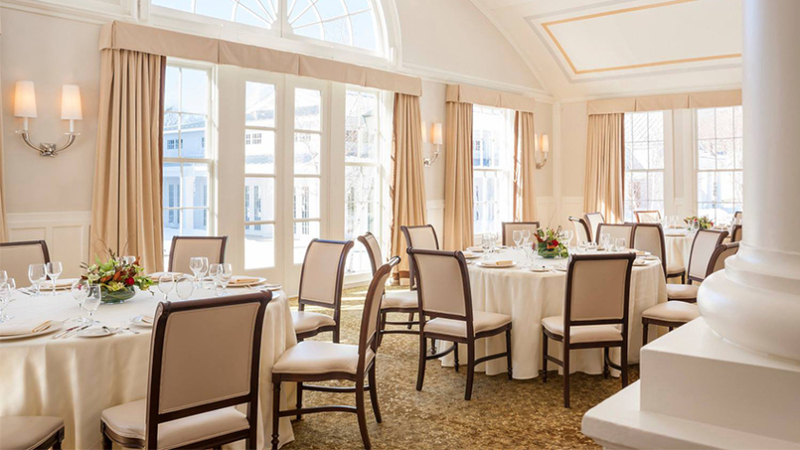 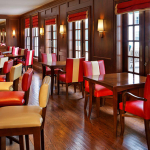 Dining options include the historic Marsh Tavern, with its sophisticated New-England style cuisine and extensive collection of single malts and craft brews, and the Chop House, with its clean and classic décor and steakhouse menu. 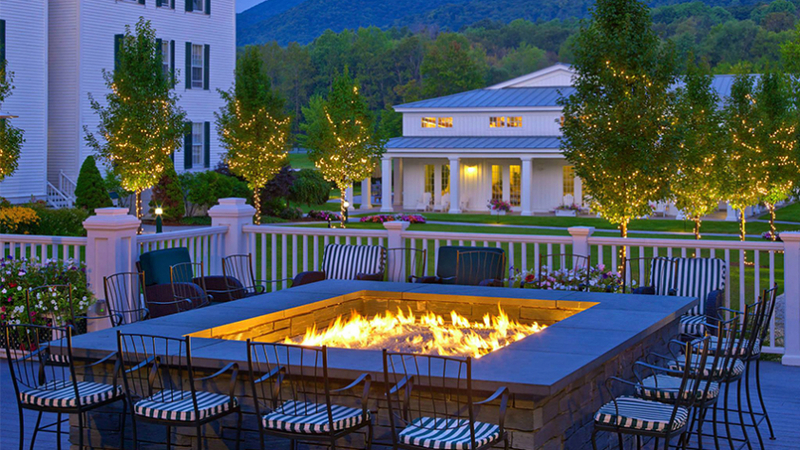 For drinks and views, the Falcon Bar offers a panorama of Mount Equinox and open access to the outdoor patio and fire pit, with a menu that highlights artisan cheeses, chocolates, and wines by the bottle, glass, or flight. 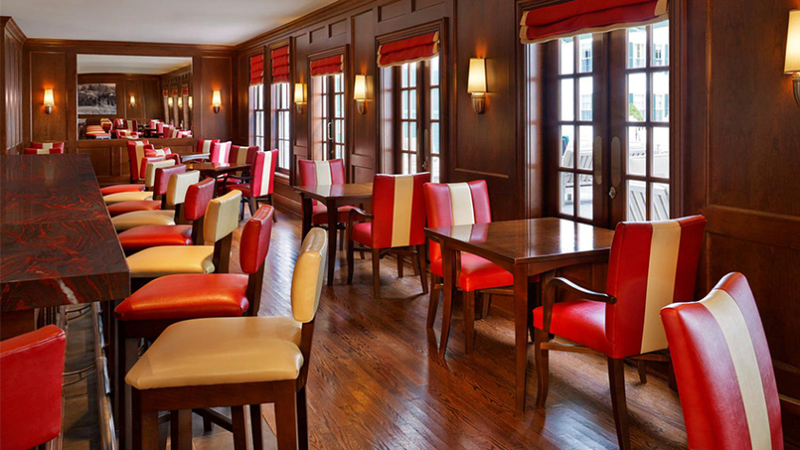 Casual dining is available in season across the street at the Dormy Grill, overlooking the golf course. 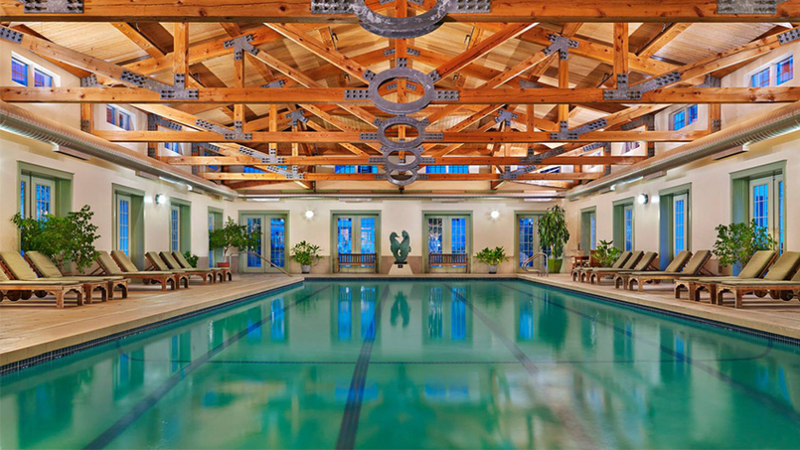 The resort is also poised to pamper with saunas, steam baths, a fitness center, and yoga studio, plus ten treatment rooms with an extensive menu of massages, facials, and body treatments. 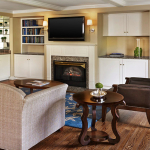 Schedule appointments well ahead! 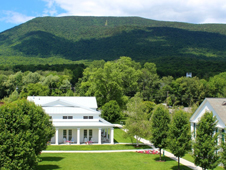 The broader campus includes an immaculate, par 71 Walter Travis-designed, Troon-managed golf course, tennis courts, and access to fly fishing and hiking opportunities at Equinox Pond. 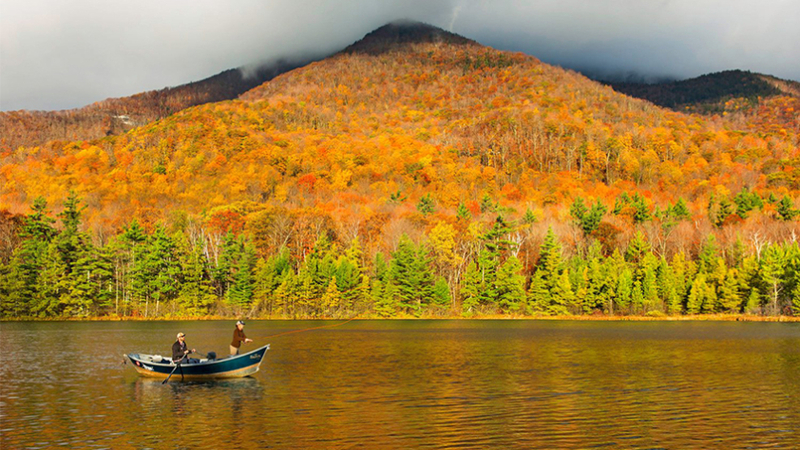 Adventurous types, sign up for a Land Rover Driving Experience and see a little bit of backcountry Vermont while you’re here. 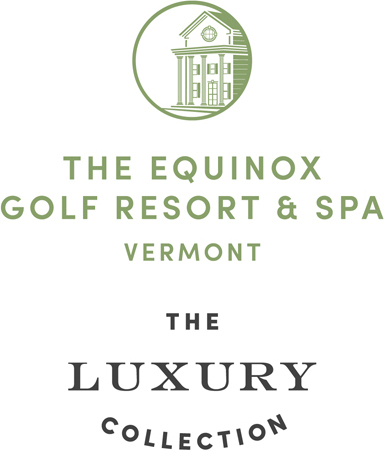 "We spent 5 nights at the Equinox and do so twice per year - but we'd love to be there much more often!! 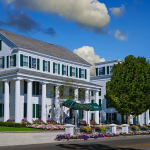 The Equinox is a beautiful historic inn with a team of staff who provide service levels above and beyond expectations. 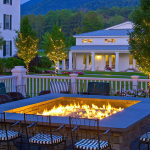 I am transported back dreaming of reading a book by the fireplace, having breakfast in the grand hall, taking a hike on Mt Equinox, strolling through town, and having a glass of wine on the patio the fire."